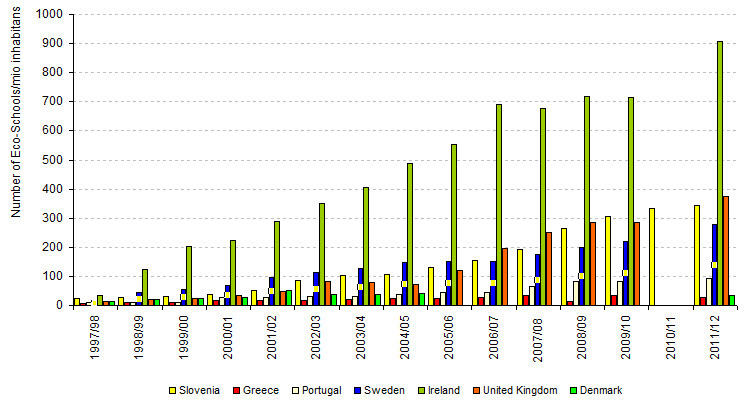 In Slovenia, the number of educational and training institutions in the Eco-Schools program is constantly growing. 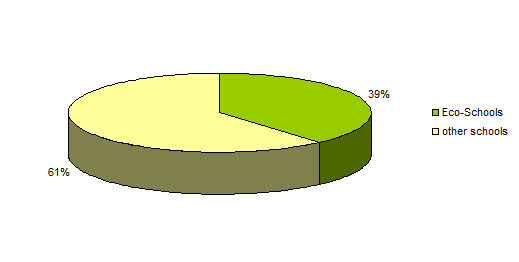 In the school year 2011/12 705 institutions were included in the program. This represents 39 % of all schools in Slovenia. Thus, environmental projects bring together more than 130,000 Slovenian children and students and 15,850 educators and teachers. 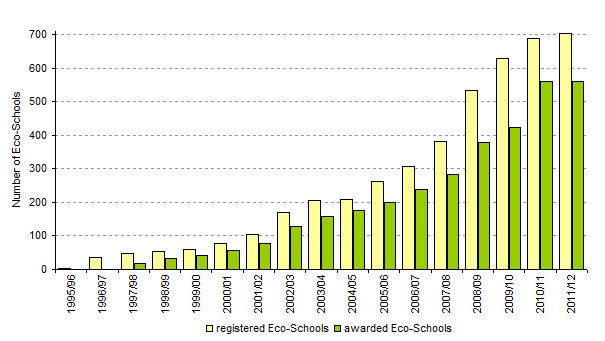 Internationally, in the school year 2011/12 the Eco-Schools consist of 40,897 institutions/schools, 14,209 of those win a green flag. According to the latest data, globally participated in the Eco-school program for more than 18 million children and over 850,000 teachers. This way, the system of environmental education reached more than 5,700 local communities. Doves, 2012; Statistical Yearbook 2012, Statistical Office of the RS. Doves, 2013; Statistical Yearbook 2012, Statistical Office of the RS.